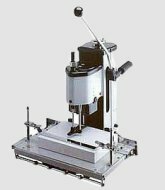 The heavy-duty pedestal model has one of the largest lift capacities of any manual corner rounder in the industry. 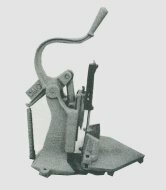 Same heavy-duty cutting mechanism as our pedestal model corner cutter. Ideal for smaller areas. 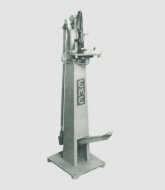 Effortlessly drills through 2 inches of paper, cardboard - or 3 decks of casino cards at one time. 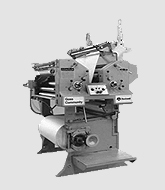 Distributors of used Goss Community, Suburban and Urbanite Newspaper Presses, new parts and accessories.